Frances writes to ask if there is a catalogue or price list of the hand woven goods. 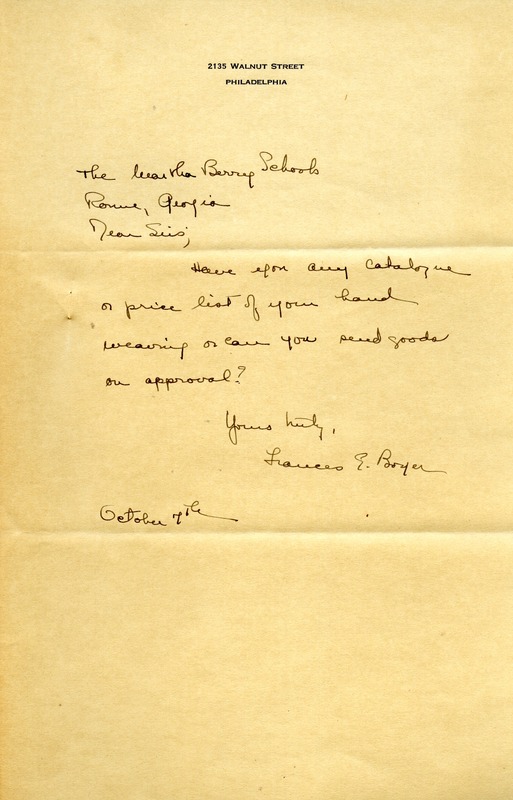 Frances Boyer, “Letter to Berry Schools from Frances Boyer.” Martha Berry Digital Archive. Eds. Schlitz, Stephanie A., Aaron Jackson, et al. Mount Berry: Berry College, 2012. accessed April 25, 2019, https://mbda.berry.edu/items/show/9594.